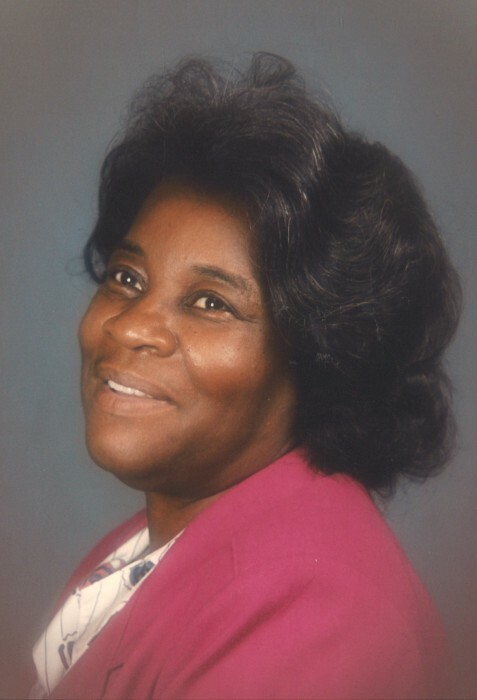 Ms. Zelma Reatha Jones Bellamy, 81, of 284 Foxdale Court, Winder Georgia, passed away on November 8, 2018. The funeral service is scheduled for Saturday, November 17, 2018 at 11:00 a.m. at Tabernacle Temple of Jesus Christ, 1601 Lane Street, Ext., Wilson, NC. Burial will follow in Rest Haven Cemetery, Lane Street, Ext., Wilson, NC. The public viewing will be Friday, November 16, 2018 from 3:00 to 9:00 p.m. with the family receiving friends from 7:00 to 9:00 p.m. at Stevens Funeral Home, 1820 Martin Luther King Jr. Pkwy., Wilson, NC. Mrs. Bellamy was preceded in death by her husband, Jessie Bellamy; grandson, Frederick Bellamy, Jr., siblings, Preston Jones, Agnes king and Monza Lee Jones. She leaves cherished memories to: her children, Frederick Bellamy of Greensboro, NC, Jesse (Gail) Bellamy of Brandywine, MD, Veronica (Ivery) Lee of Winder, GA, Vajuana (Larnell) Phillips of Zebulon, NC, Tobie (Sylvia) Bellamy of Wilson, NC,Princeton Bellamy of Winder,GA; siblings, Emma Jean (Chester) Gary of Bailey, NC, Beatrice (Clifton) Jones of Hartford, CT, Vashti (Sammie) Staton of Columbus, GA, David (Annette)) Jones of Bailey, NC, Harold (Lois) of Sims, NC and Roger (Hazel) Jones of Bailey, NC; brother-in-law, Fred Bellamy of Wilson, NC; fifteen grandchildren; sixteen great grandchildren; a host of other relatives and friends. Stevens Funeral Home staff is honored to serve the Jones Bellamy family.